PSC offer professional copy-editing and proof-reading services for all your business marketing materials. Badly written, inconsistent or ambiguous content, whether on-line or off, creates a bad impression and won’t inspire your customers with confidence. Make sure your corporate communications are of the highest quality with our professional editing services. Good writing deserves good editing. We read every line, word by individual word, removing those that may be unnecessary or simply confusing. We look at house style, keywords, tone of voice, company image and your intended original meaning. We work to improve the overall presentation while still retaining your own unique style. Whatever your field, we can improve the language and readability of your on-line and off-line copy. Copy-editing and proof-reading ensure that your content is clear, consistent and grammatically correct - enhancing its overall presentation. Starting with essential keyword research we can suggest rewordings to incorporate crucial keyword phrases. 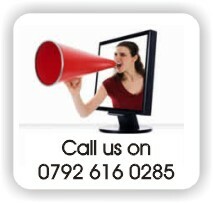 We ensure that your original message remains and that it is customer focussed. SEO keyword focused Copy-editing sharpens your internet marketing campaign, optimising your existing website content or any other copy intended for distribution via the Internet. Using up-to-date SEO keyword research techniques, we ensure all editing adds value both to customer understanding and search engine ranking. Want to know more about PSC Copy-editing and Proof-reading? Contact us for a prompt response.